I Haven’t Run in 4 Days … Ahhh! As of this morning I have not run for four days… but tonight I will run! My knee is finally feeling better and I plan to get in a short run tonight — maybe 3.5ish miles. If it starts to hurt at all I will stop because right now I am all about being ready for the half on Sunday. However, I really, really hope it goes well because I miss it! 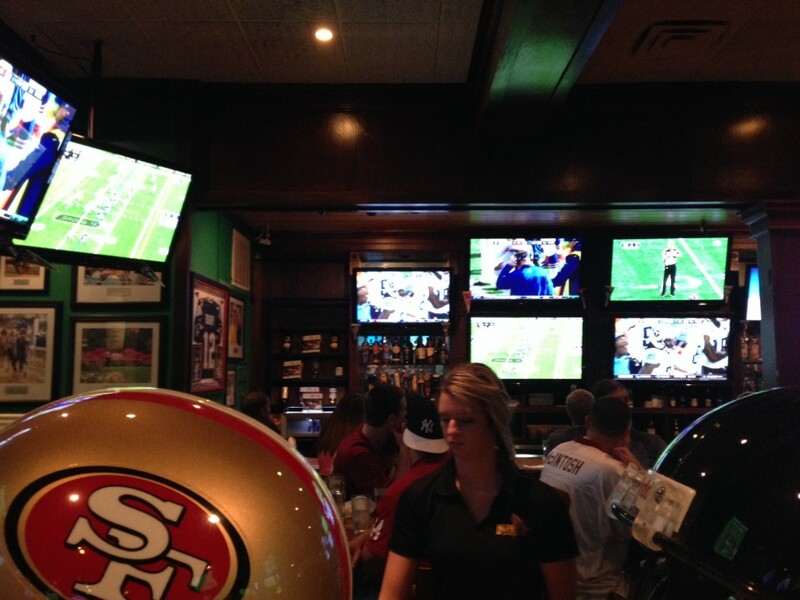 Yesterday Adam and I went to Duffy’s for lunch and to watch some football. They have so many TV screens it is really like information overload! 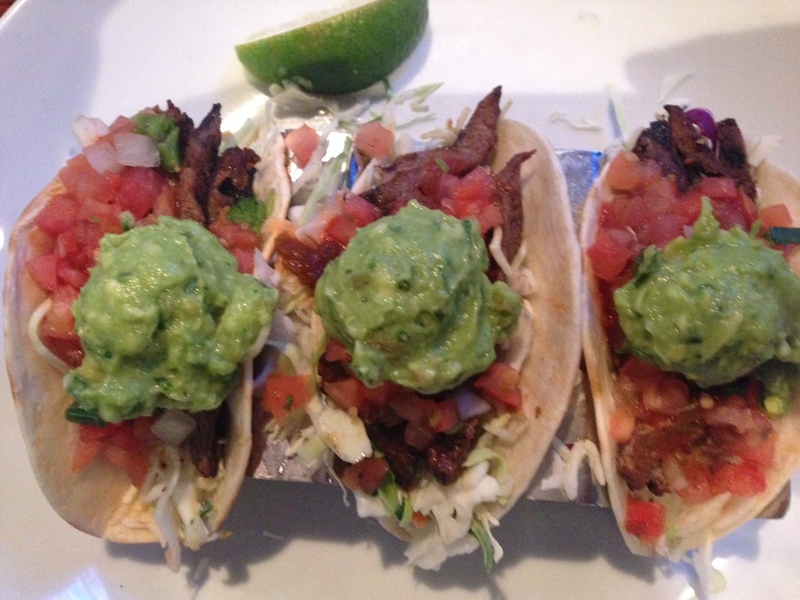 I had the steak tacos and they were soooooooo good. A little spicier than I normally like, but still really good! I suspect there was some sriracha on the tacos, and I am just not hipster enough to love sriracha. The white stuff that kind of looks like cheese is actually cabbage. I am just now realizing I ate tacos without cheese … isn’t that kind of weird?! 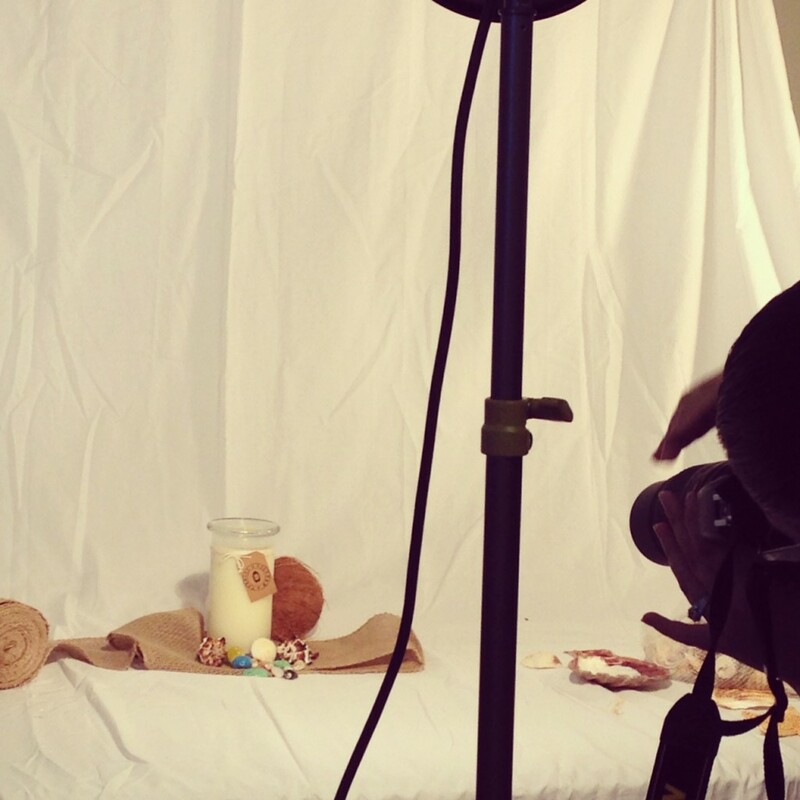 On Saturday I had a photo shoot for my candles and I cannot wait to see the new pics! This week you will probably see me talk about the half a lot. I cannot believe it is right around the corner. If I am being honest… I am kind of scared. Help?! Do anything exciting this weekend? Any long runs? What do you like to put on your tacos? Good luck this week! Just take it easy on your knee with short and easy runs. You are trained and prepared for the race. Thank you! That is exactly what my running coach said, although it feels like it’s been forever since I’ve done a long run! I think last time I had beef tacos they were cheeseless. Maybe it’s a “thing”? FEAR is good. It means Forget Everything And Run! You are going to knock it out of the park! “I am just not hipster enough to love sriracha.” Haha. I love it.